Autumn is the perfect time to stay inside and hide from the weather but sometimes I know we get a bit bored of doing the same old stuff. 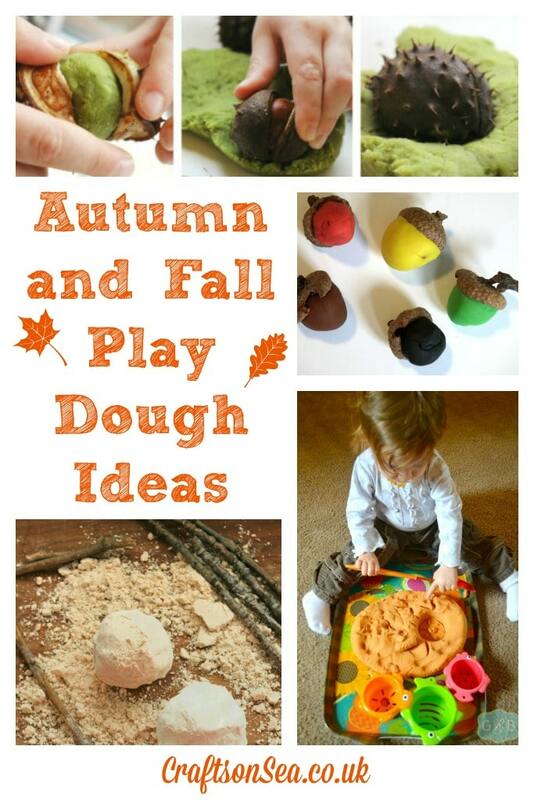 My kids both adore playing with play dough (as do I if I’m honest) so I thought I’d share some fall and autumn play dough ideas to help give us all a bit of inspiration for the days when the weather is a little bit less than awesome. All the ideas I’m sharing today are in the order that they appear in the image below but there’s a few extra too so make sure that you check them all out. Like these ideas? Autumn is a loooong time – make sure you bookmark or pin them so you can come back to them later and try some more out! 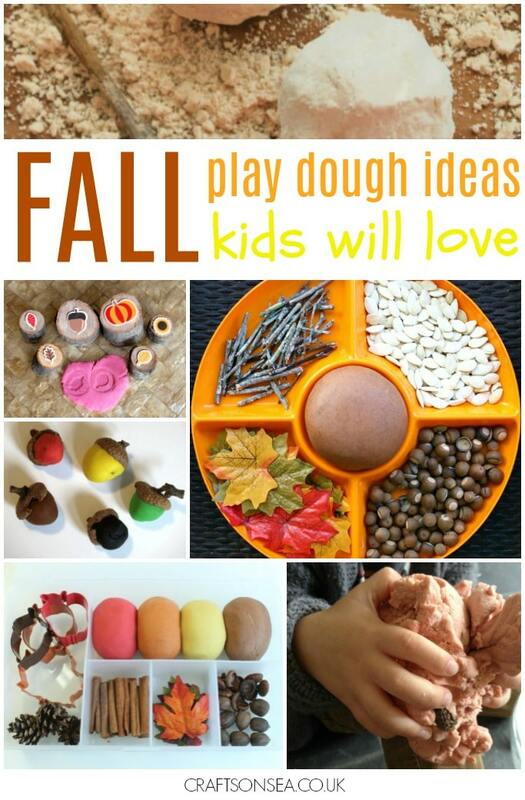 This Cinnamon and Ginger Dough from In The Playroom sounds amazing and is totally on my ‘To Do’ list. Thanks for featuring one of our crafts – have Pinned! My pleasure, thanks for joining in! 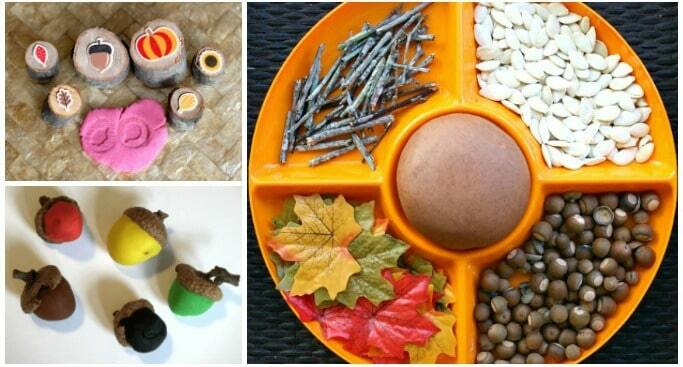 Thank you for including my playdough, come and run with me to the woods! We’ll gather chestnuts and pinecones galore! Oh, that would be lovely!